We've got that gold fever! An exclusive, limited edition colour released for the festive season 2018, Gold is a stunning and opulent shade. A soft shiny finish, this colour is only available in a limited number, so take a look here at the whole range! 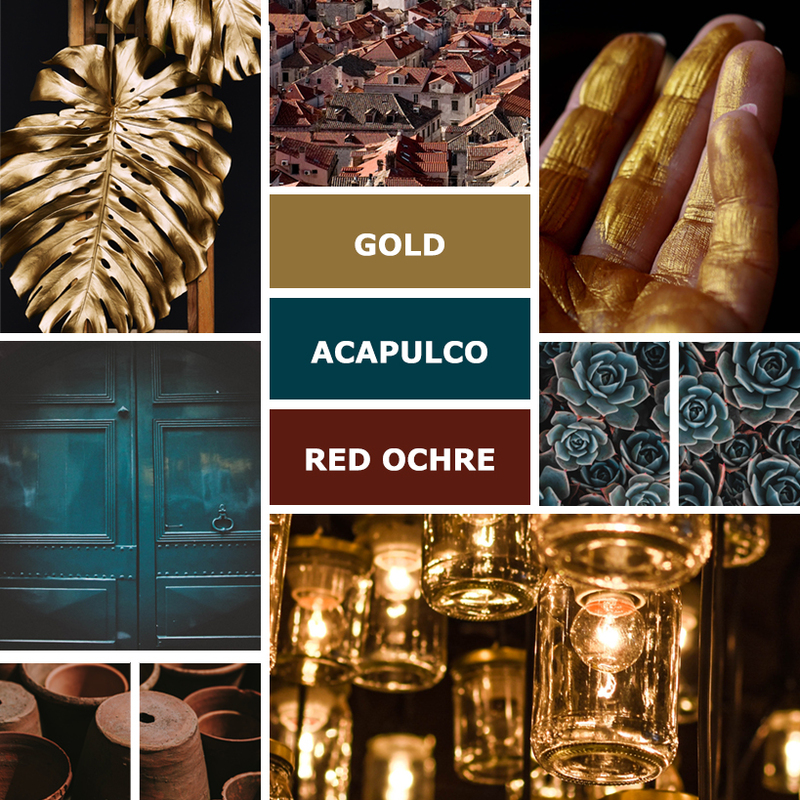 Gold looks gorgeous accompanied with jewel tones such as Red Ochre and Acapulco Blue. 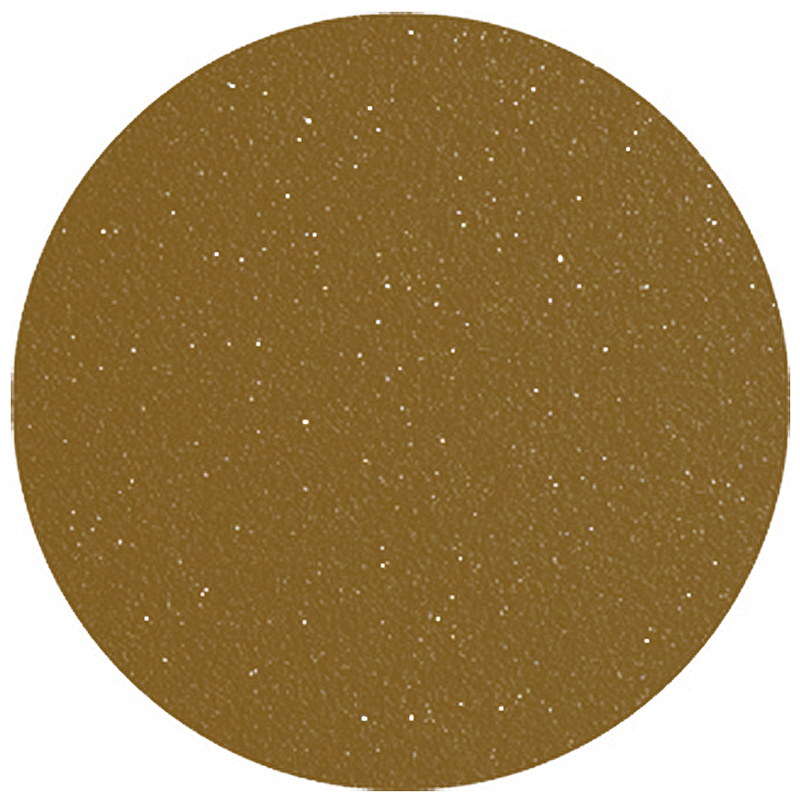 This palette really demonstrates the richness in Fermobs colours - who says your outdoors can't be decadent! 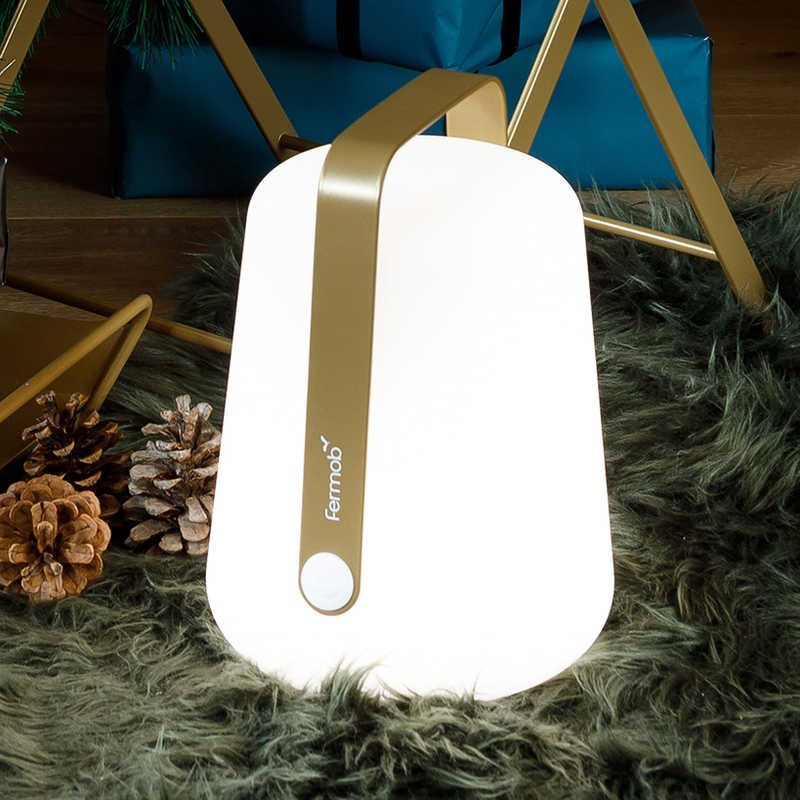 Gold is the perfect accent colour, so if you're nervous about a full bistro set why not try a small or large Balad Lamp or Mooon Lamp? 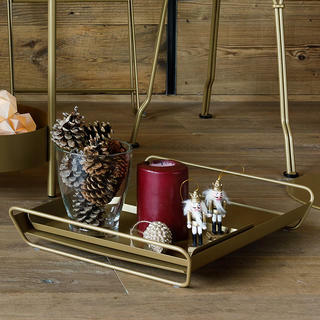 To be the host with the most, take a look at the Alto Tray which comes in 2 sizes. 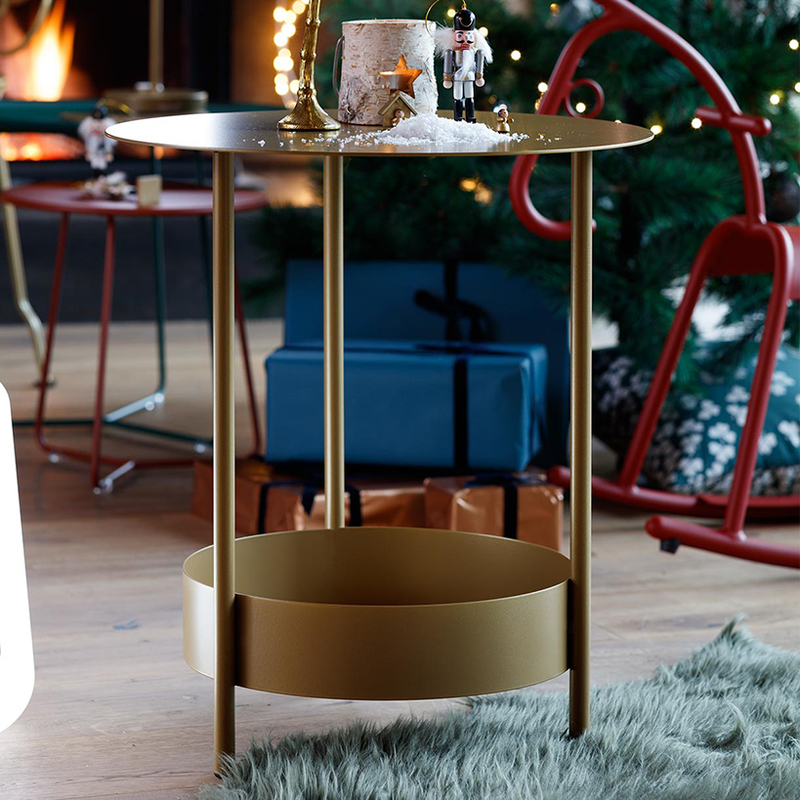 A Cocotte Side Table is small but perfectly formed, and the larger version comes with removable tray top. Please do not hesitate to contact us on 0345 605 2505 if you would like to see more colour combinations or if you would like to discuss your colour requirements. We will be more than willing to help. Furniture surfaces can be cleaned using either clean water or water containing a non-detergent soap. Wipe dry to remove any smears or traces of limescale. See Fermob care and maintenance for more information on how to keep your furniture in tip-top condition. 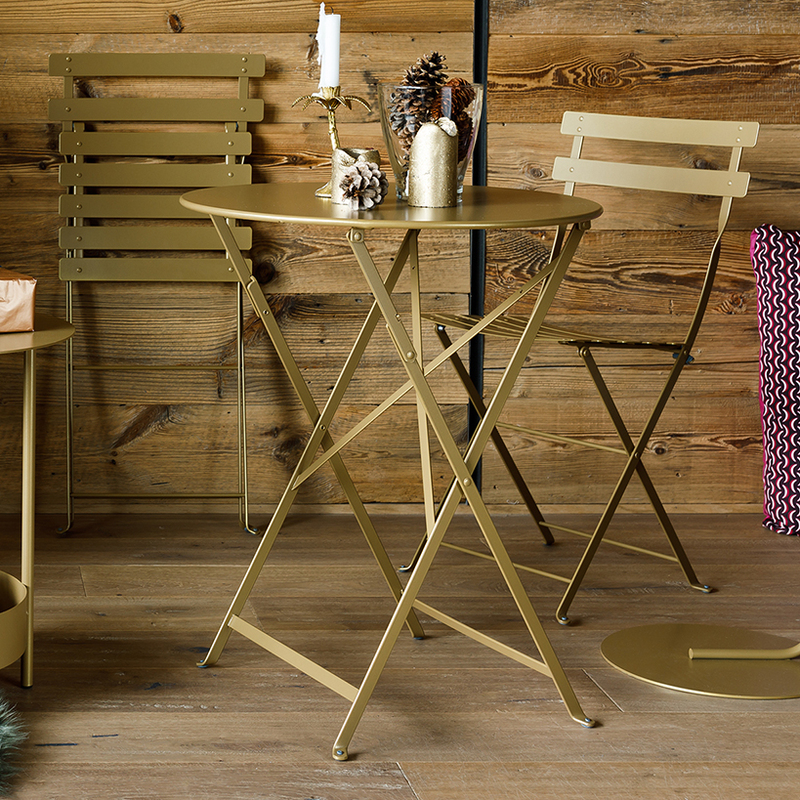 Gold looks equally gorgeous when styled with Cotton White and Steel Grey, which gives the collection a true wintry feel.